First Floor 1813 sq. 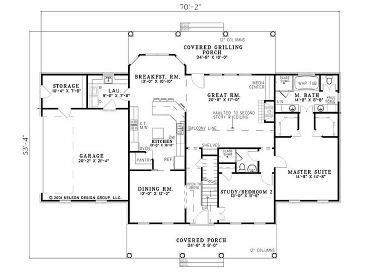 ft.
Second Floor 790 sq. ft.
Width 70 ft. 2 in. Depth 53 ft. 4 in. 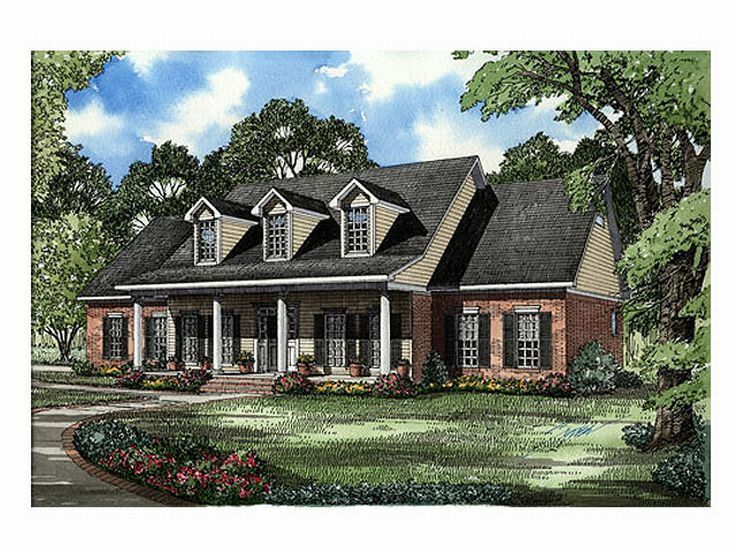 Columns line the front and rear porches of this Colonial house plan creating a relaxing outdoor atmosphere. Upon entering, you’ll notice an elegant dining room and study, with French door entry, flanking the foyer. Perfect for a work-at home parent, the study delivers a peaceful workspace and easily converts to an extra bedroom with full bath nearby. The great room is the heart of the home with soaring two-story ceilings, fireplace, media center and access to the outdoors. Decked with today’s most requested features, the kitchen boasts a walk-in pantry, eating bar, meal-prep island and direct access to the dining room and bayed breakfast nook. The grill master of the home will enjoy preparing meats on the grilling porch. 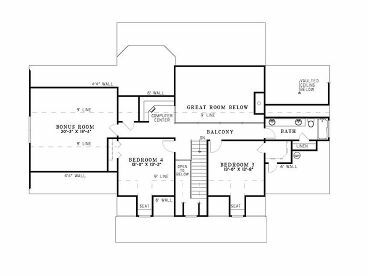 Located on the first floor, the master suite will captivate you at the end of the day. His and hers walk-in closets surround the entry to the lavish bath with relaxing whirlpool tub, sure to soothe you. 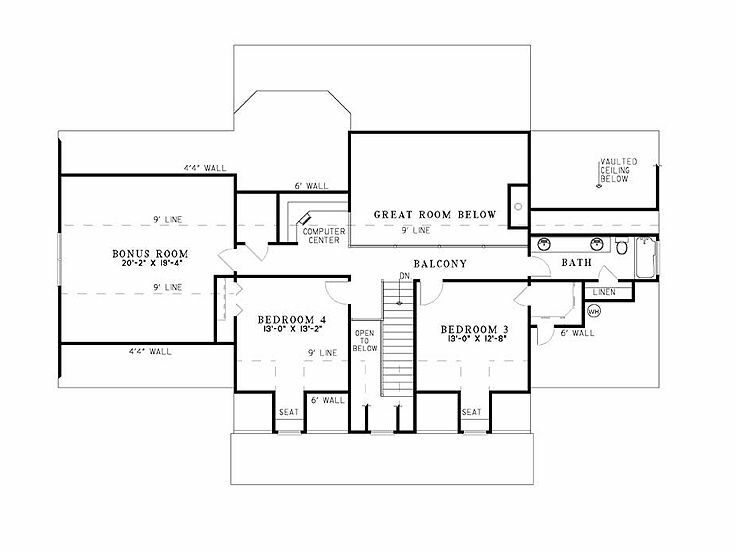 From the upper level balcony, the children can access the computer nook, ideal for homework time, a full bath and the bonus room. 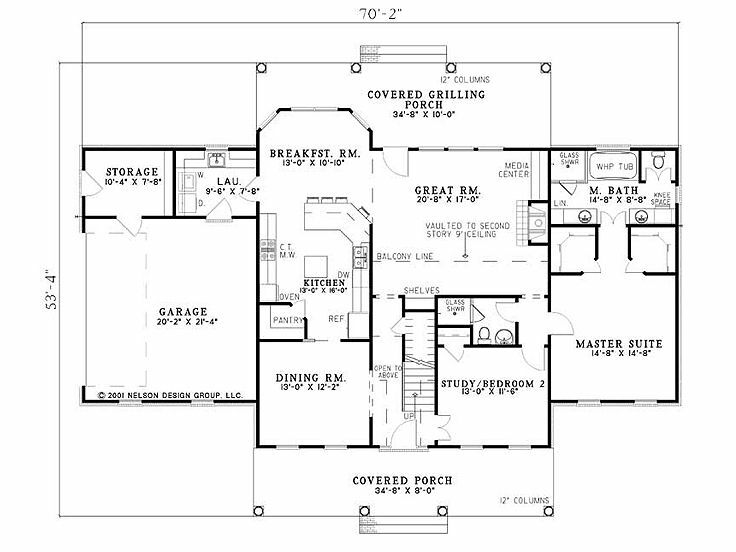 The bedrooms feature ample closet space and a cozy seat in their dormer windows. 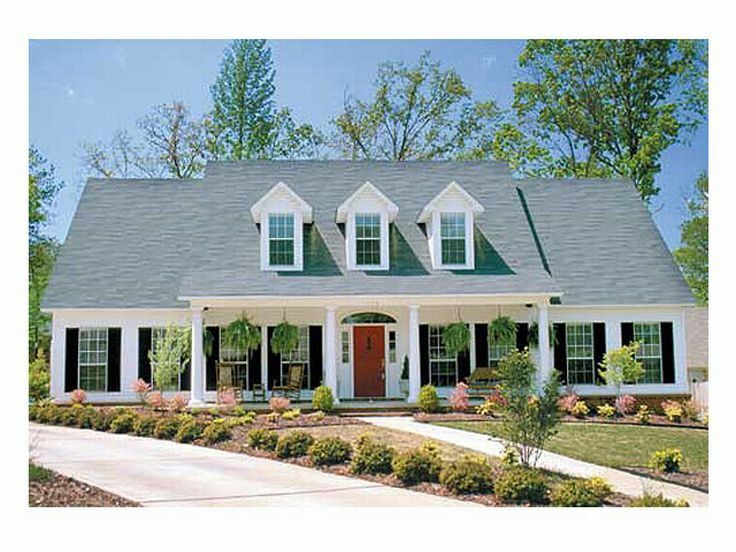 A two-car garage with storage and handy laundry room entry completes this two-story country home plan.